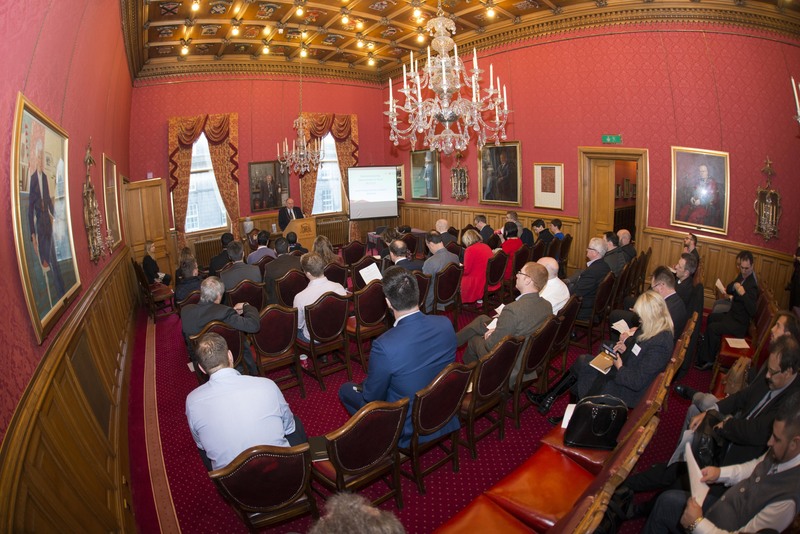 30/11/17 Lord provost Barney Crockett opened A seminar for businesses to work in oil and gas in Brazil. Credit: Norman Adams. An early morning Aberdeen City Council event sees the biggest names in Brazilian oil seek to make deals with Aberdeen decommissioning big hitters. Speakers arrived from Petrobras, Sobena and the Brazilian Department of International Trade to discuss the issues they foresee in decommissioning in the future. With Brazil having a reported 147 offshore production units currently in operation, they’ve identified 80% which are over 25 years-old. In order to deal with the issues that aging structures and decommissioning, Brazil’s oil firms and connected organisations are keen to forge alliances with North Sea operators. Zacaron went on to outline exactly what Pertorbras required in terms of technical guidelines for ‘risk-based comparative assessment’ the Brazilian scenario.